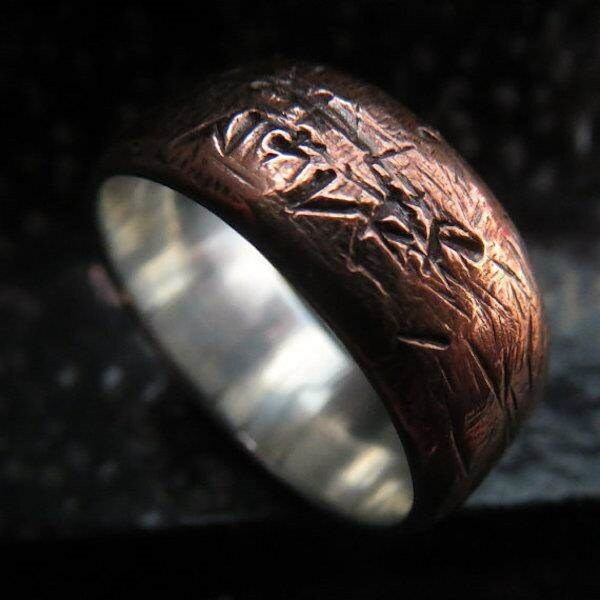 If you're looking for an unusual wedding ring then you're going to enjoy this month's Misfit Of The Month. 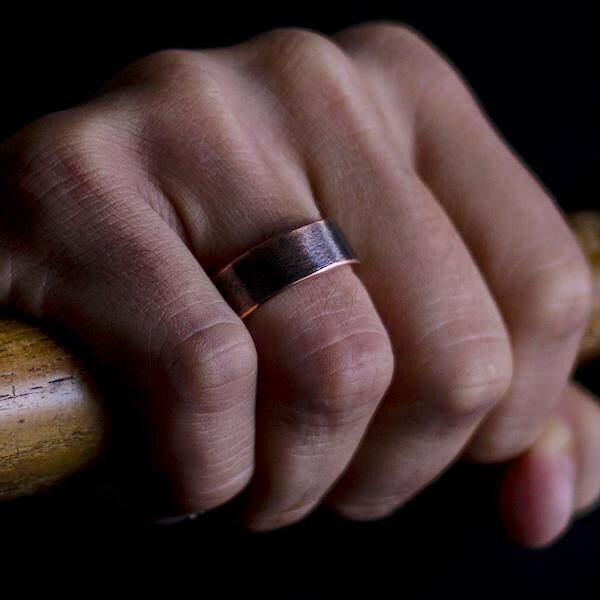 We have chosen Boot and Hammer from our directory of alternative wedding suppliers, so that we can find out a bit more about these eye catching rings from the skilled individual who makes them. Hi my name is Tillie; I’m a goldsmith from London where I still live and work. 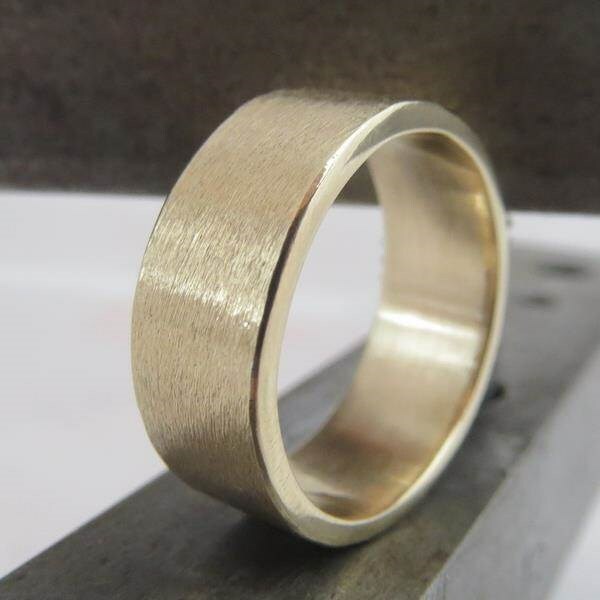 I specialise in designing and making unique wedding rings for men. How long have you been handcrafting jewellery? I have been making jewellery for the last ten years or so and it all began in my Mother’s workshop. She’s a mad metalsmith and ring maker, I learnt most of what I know from working with her in her workshop...this is where I became obsessed with making rings...I now have my own workshop where I run Boot and Hammer. What sort of products can people order from Boot and Hammer? 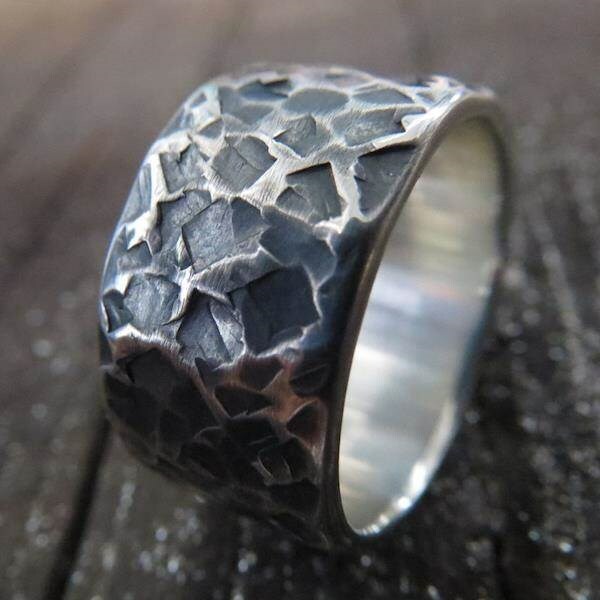 Boot and Hammer is all about unique handmade rings. Which type of rings are the most popular? 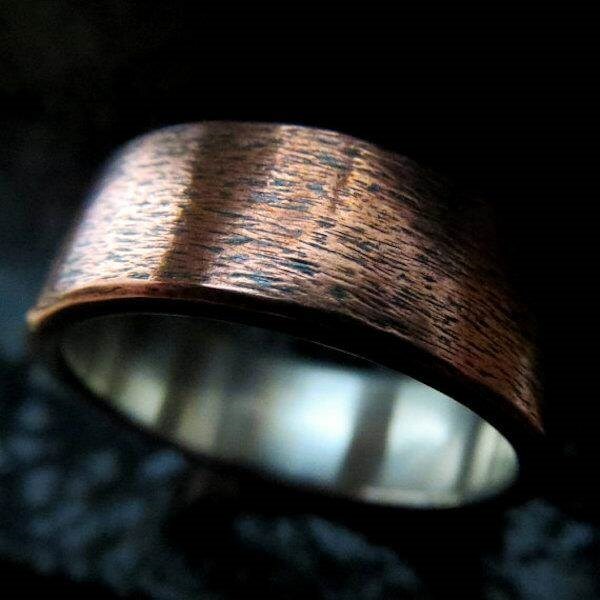 The most popular designs are the silver lined copper rings, I think because they aren’t your run of the mill wedding rings, people like something different and that’s what I do best. Can you tell us a bit about your work process? Everything I do is done by hand using hand tools like files and hammers, many of which where my Grandad's old engineering tools. I’m a sucker for old battered tools, the stranger the better in my book...I’m a bit of a collector...I justify this obsession with the notion that I will eventually find a use for all of the strange tools I collect, whether it be to apply a new texture to a design or even for props in photographs. But really I just like my workshop full to the rafters with odd objects. Work wise I sit at my bench all day long it’s like my second home. 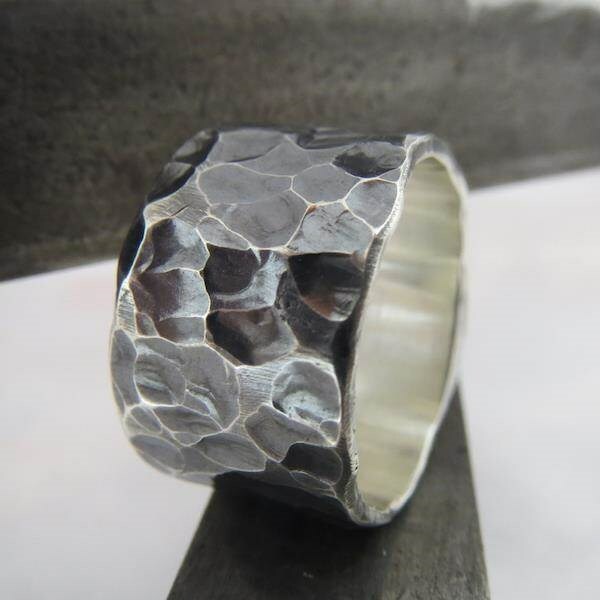 What I like most about my work is that I can make a heavily textured rough looking ring feel butter smooth and perfect. Which designs and materials do you most enjoy working with? 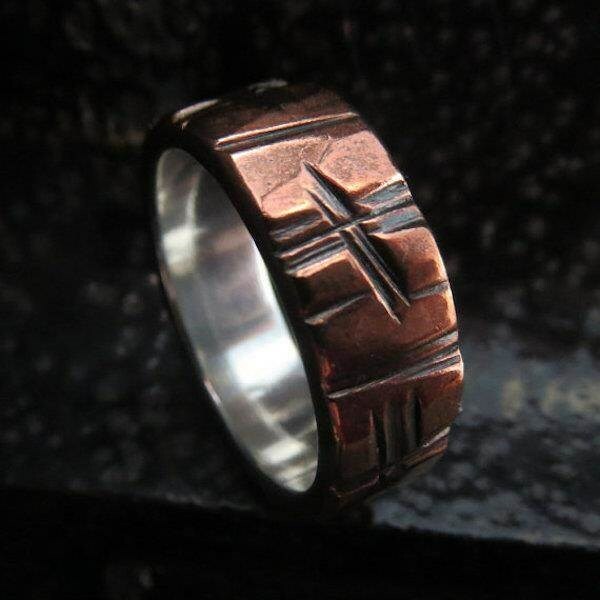 I enjoy making the silver lined copper rings. 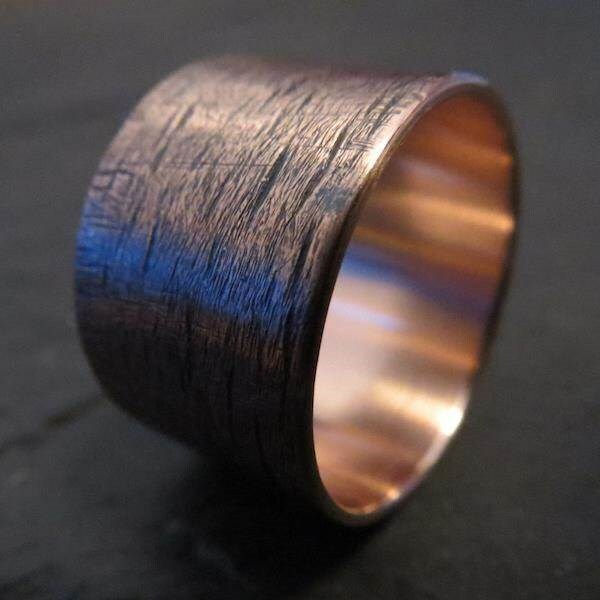 Copper is such an underrated metal. 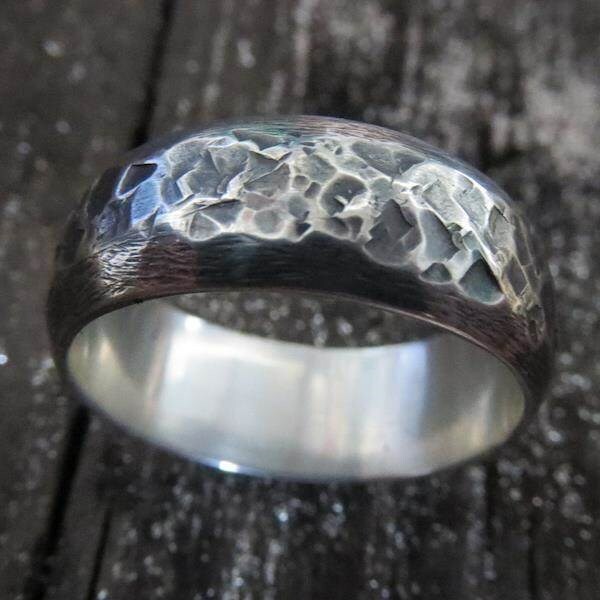 It’s perfect in so many ways, the colour and the hardness of the metal makes for an ideal wedding ring but it’s not for the faint hearted I guess as they are quite unique. Do you take custom orders? If so, how far in advance do people need to order? Yes custom orders are a big part of my work. Timeframe really depends on how complicated the design but usually I can complete a custom order within a month. It’s best to get in touch and let me know what you want and we can go from there. Do you sell his and hers matching rings? Definitely, I mainly sell sets as custom orders. People usually want slight changes made to existing designs for example narrower widths and different metal combinations. What makes Boot and Hammer stand out from the crowd? I think the overall style, heavy textures on the rings and the different metal combinations make Boot and Hammer stand out. 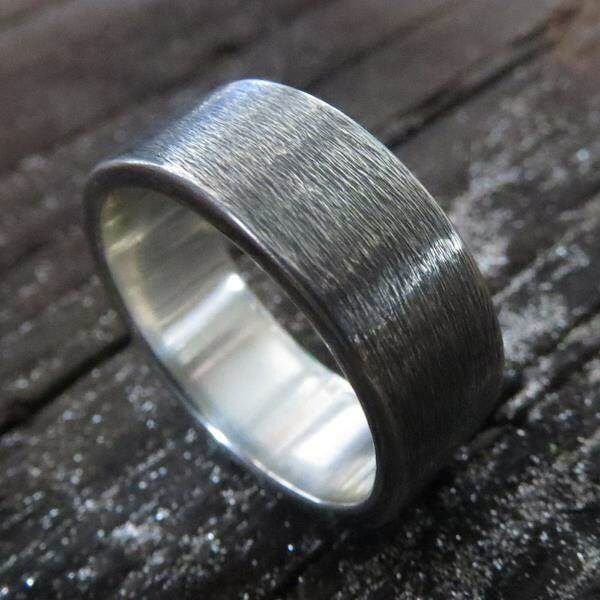 99% of the rings I make are sold as wedding rings. 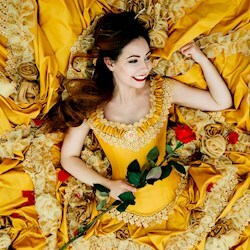 My customers are looking for something that fits their unique personalities and that’s not lacking in quality, which believe it or not can be hard to find in your high street wedding ring shop, so that’s where I come in. 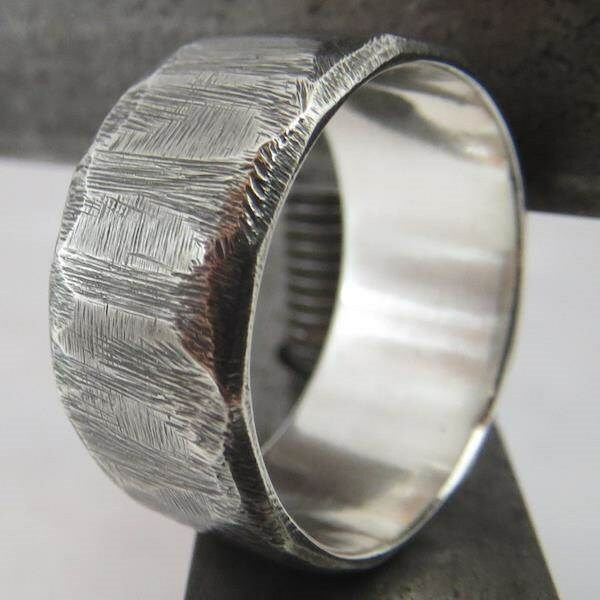 The rings I make are the quality you would want and expect from a wedding ring with all the personality and uniqueness a customer is searching for when looking for that perfect wedding ring. 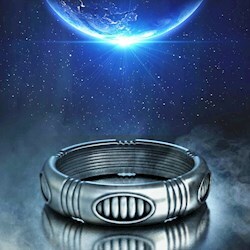 You can expect a more personal experience and a unique well made ring. I spend a great deal of my time talking to my customers and a great deal of time ensuring every ring is perfect. 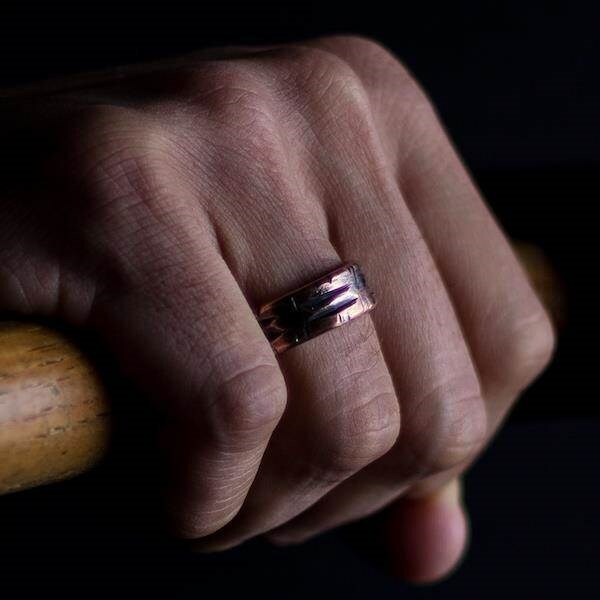 Longevity is important with my work, your ring is built to last you a lifetime and to be something you feel happy and proud to sport upon that ring finger. Do you have any tips or advice for couples planning an alternative wedding? Thanks Tillie! 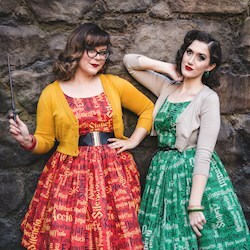 We are very big fans of your work here at Misfit Wedding. 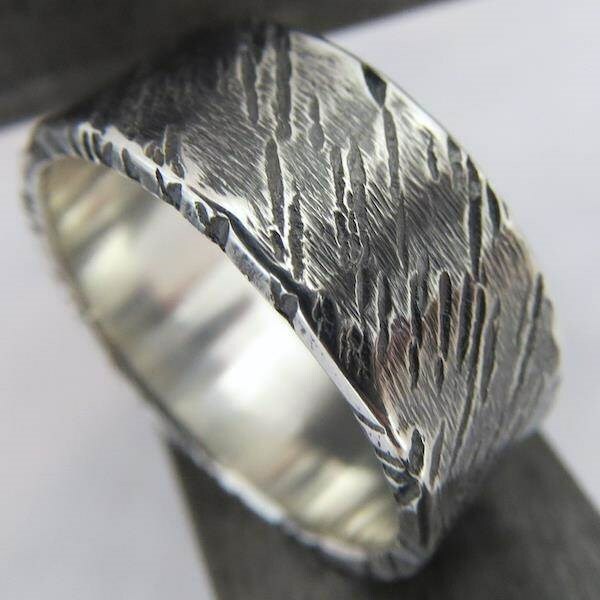 The textures you get into your rings are amazing! 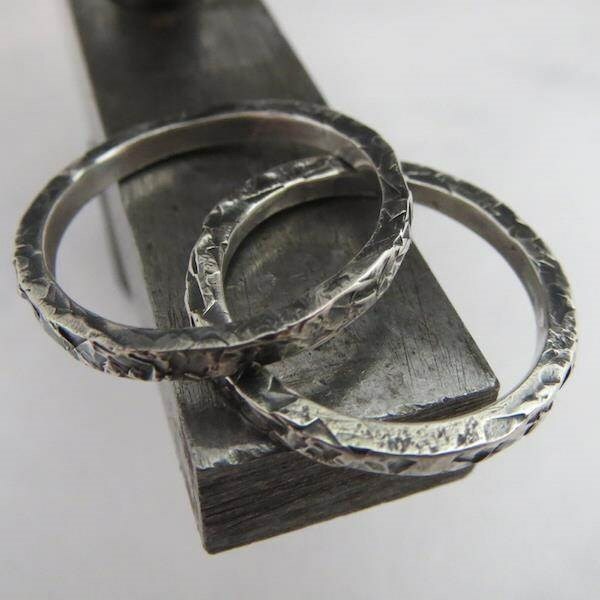 If you're reading this and think you might like to talk to Tillie about making your wedding ring, you can contact her via her online shop.